Yep it's finally here...Autunno...la mia stagione preferita!! We had a little autumn dinner party to celebrate. 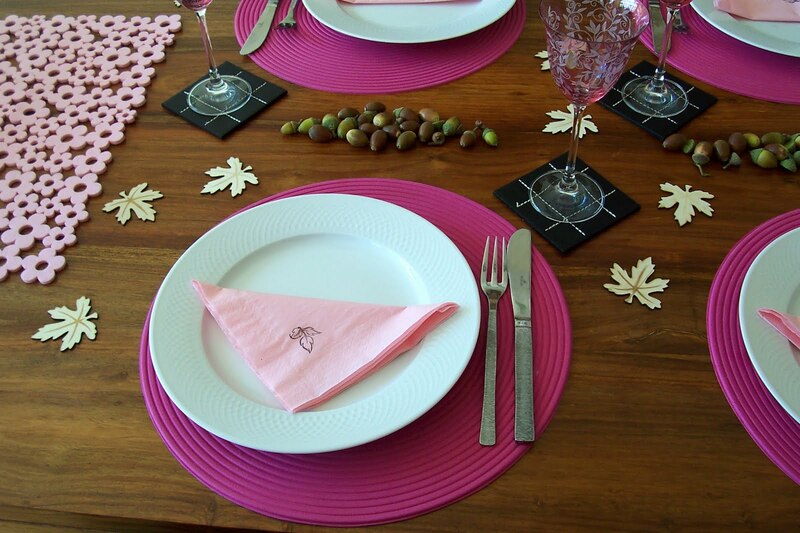 I got to use the little wooden leaves that i'd bought on holiday as table confetti...which i think i love! 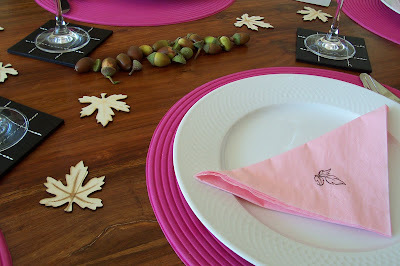 I made a little line of acorns down the centre and stamped up some napkins with an autumn-y leafy stamp. 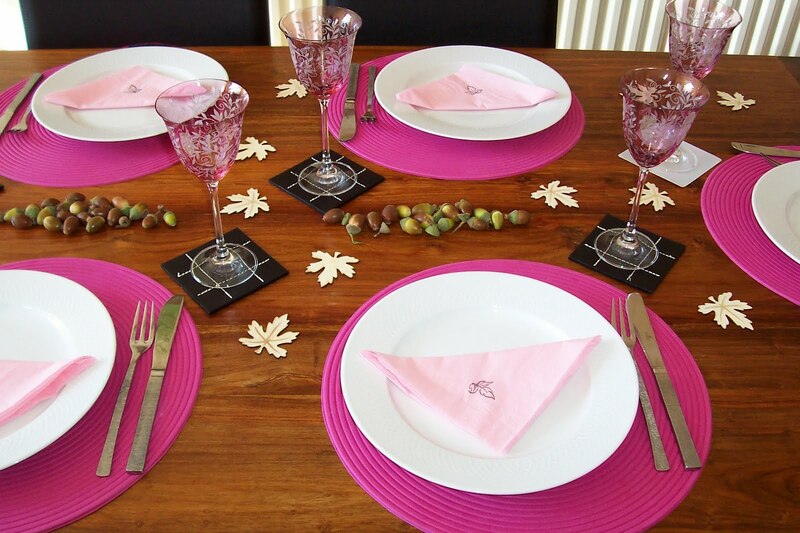 Not strictly a craft...but i loved doing the theming, and i thought i really should break up all the clothing posts! !